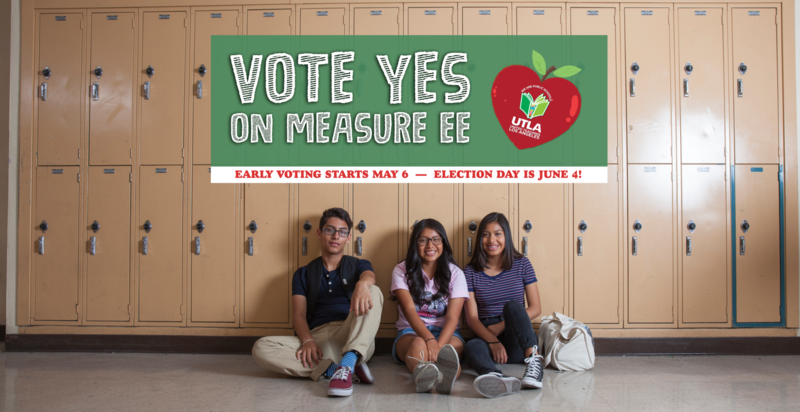 Vote YES on Measure EE to help our neighborhood schools retain and attract quality teachers, counselors, school nurses, and librarians. Measure EE is a critical part of the solution to the public education funding crisis that was highlighted by the recent teachers’ strike in the Los Angeles area. Teachers and school district leaders agree that Measure EE will lower class sizes and provide needed resources for local schools, and pay salaries to retain and attract quality teachers and student support staff.